Rooted in the southern storytelling of Country music with the modern punch of rock & roll, 'Hallelujah Nights' serves as LANCO's coming-of-age debut album, confirmed for release worldwide on 19th January 2018, including CD & digital formats in the UK, and is available to pre-order now. Equal parts nostalgic and forward-thinking, lead singer Brandon Lancaster wrote all eleven songs and found success breathing new life into universal themes. Simultaneously, LANCO’s first-ever #1 'Greatest Love Story' - certified Gold in the US - reigned at the top of the Billboard Country Airplay chart for the last two weeks of November, and remains in the top five on that chart, as well as on Hot Country Songs (which blends radio play, sales and streaming data). LANCO's story begins in the small towns where all five bandmates — Lancaster, bassist Chandler Baldwin, multi-instrumentalist Jared Hampton, drummer Tripp Howell and lead guitarist Eric Steedly — were raised. Spread across Tennessee, Kentucky and Georgia, they lived normal lives full of late nights, long weekends, hard lessons and young love. Alongside award-winning producer Jay Joyce (Little Big Town, Brandy Clark, Brothers Osborne), LANCO focused on capturing the spirit of their exuberant live shows, sharing the same goal to make everything sound authentic and human. If a particular song didn't click, LANCO would take it on the road and perform the new tune every night until things fell into place. 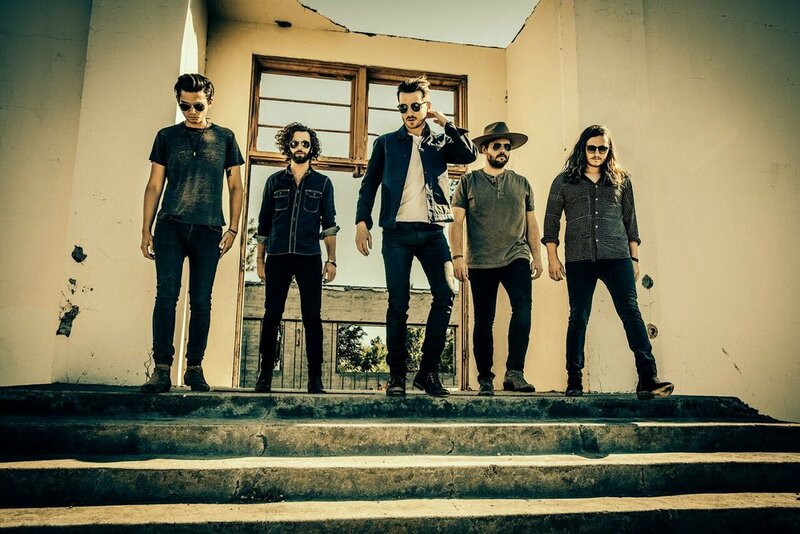 LANCO’s authentic style has resonated with fans throughout their self-titled debut EP, which can already count more than 100 million streams. “Shaking up the Country charts” with "his confessional style lyrics" (Entertainment Weekly), Brandon Lancaster takes credit as the sole writer behind their Number One GOLD hit “Greatest Love Story," marking the first time in over ten years an artist's first #1 has been solely written by the artist. Simultaneously, it reached #1 on Billboard's Emerging Artist Chart (ending Dua Lipa’s six-week reign at the top spot on the all-genre chart). Named as "the band to watch" by Bobby Bones, CMT, Entertainment Weekly, Hits Magazine, Pandora, Rolling Stone, Spotify and more, LANCO gained their status from touring the USA’s top festivals including Bonnaroo, Lollapalooza, Austin City Limits, Watershed, Faster Horses and more. LANCO is currently on the road supporting Dustin Lynch's THE RIDE OR DIE TOUR and will head out in January for Chris Young's LOSING SLEEP WORLD TOUR.